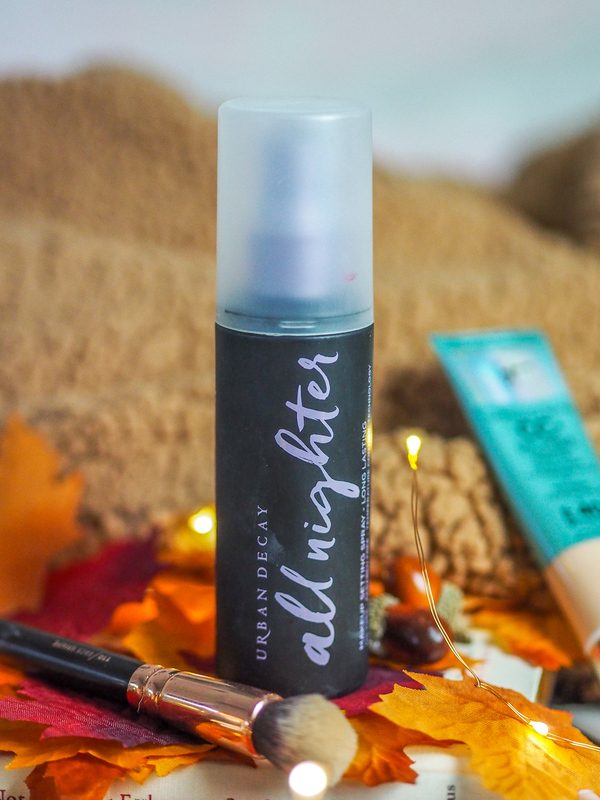 Am I a little late to the party writing about the Urban Decay All Nighter Setting Spray? Yes, probably. Am I going to write about it anyway? Most definitely. Last October I received the original Urban Decay Setting Spray at a blogging event. I’d never used setting sprays before and truthfully, didn’t really get the hype around it all. Fast forward to this Summer, I was low on my bottle and decided to pick up the All Nighter Setting Spray from Duty Free. 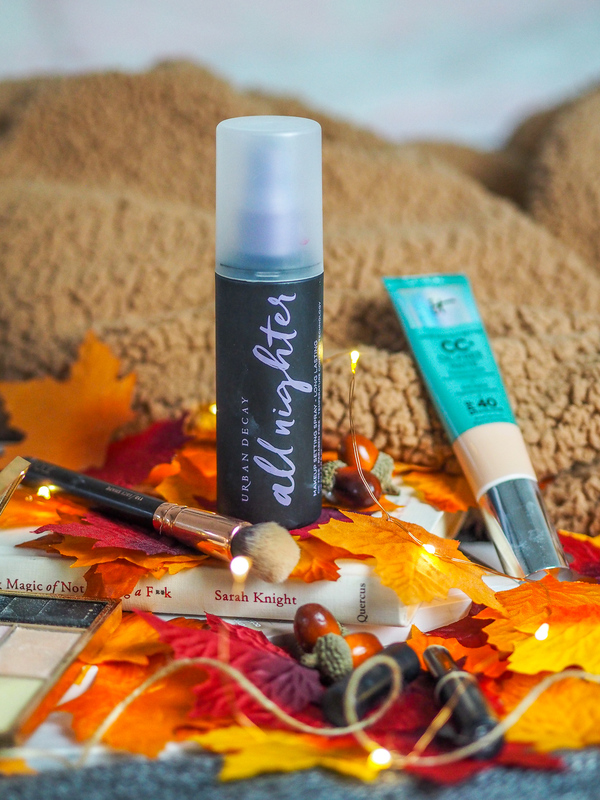 If you’re late to the setting spray party like me, the All Nighter spray keeps makeup looking fresh for up to 16 hours — without melting, fading or settling into fine lines. There’s nothing worse than getting halfway through the day and have your make-up sliding off your face – this stops that, or at least slows down that process. I’ve taken to the web to see what this formula is all about and found that it’s free of oil and parabens (big plus! ), and features Temperature Control Technology… say whaaat?! 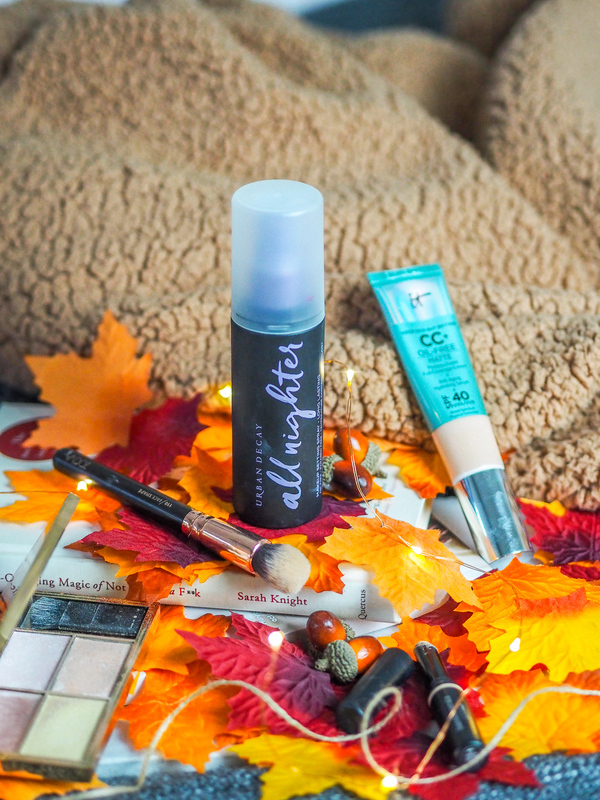 The spray lowers the temperature of your makeup to keep foundation, eyeshadow, blush and concealer in place — even in hot and humid, or cold and windy weather conditions. It leaves the skin smoother-looking and keeps makeup in place for longer, lasting all day or night. I bought this bottle as we left for New York and boy am I glad I picked it up. The humidity in NYC was extreme and without this little beauty I’d have been in a bit of trouble. I have slightly oily skin and in the past I’ve really struggled with getting that dreaded shiny skin halfway through the day. This didn’t quite stop this in NY, but like I say, it was extremely hot there and the shine I did get was probably more from sweat (nice), not oil. Since coming home though, is when I’ve really fallen in love with this product. I use it daily as the last product in my make-up routine and it keeps my make-up in place, matte, and with no creases throughout the day, even after a gym session in the evening. It’s a must-have item in my make-up bag!